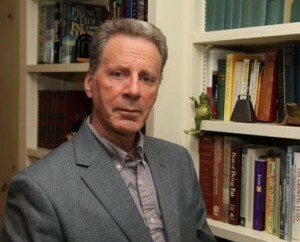 Mark Rubinstein is the author of the new book Beyond Bedlam's Door: True Tales from the Couch & Courtroom. A psychiatrist, he was an attending psychiatrist at New York Presbyterian Hospital in New York and a clinical assistant professor of psychiatry at Cornell University Medical College. 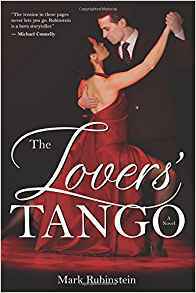 His other books include Bedlam's Door, The Lovers' Tango, and Mad Dog Justice. He lives in Connecticut. 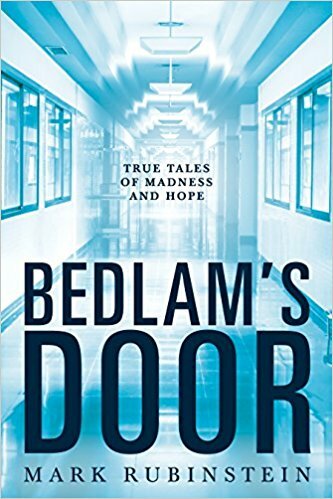 Q: Do you see this book as a continuation of the stories you told in Bedlam’s Door, and how did you choose these particular patients to describe? A: It’s not so much a continuation. 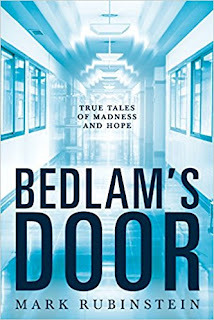 Bedlam’s Door dealt primarily with the patients I saw in the hospital when I was younger. Beyond Bedlam’s Door takes place over a number of years when I was a more seasoned psychiatrist. I became more sophisticated about the courtroom. It’s like any other profession—you get better by spending time and effort. You learn as you go. 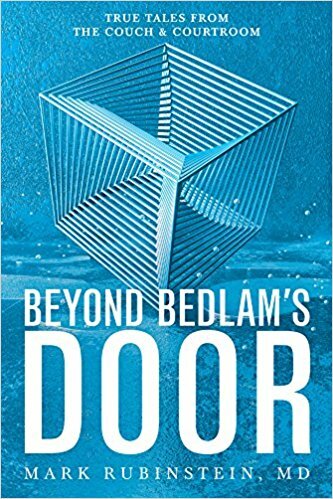 I did feel Beyond Bedlam’s Door sort of explicates some of my own growth as a psychiatrist. I became more cynical about the court system and recognizing my own limits—you just can’t help everybody. It’s a continuum but not a follow-up in the traditional sense. I thought back over those compelling stories. I saw over 300 people who survived 9/11. They were all interesting in some ways. It was so catastrophic, but a few people stood out because of the aftereffects. A few of the stories are very funny. The boy who cried wolf—I will never forget him. The story about my dog, Sidney—that’s the only real name in the entire book. He was my first dog. I was flabbergasted by the reactions amongst my private patients to a 28-pound mutt…the dog brought out things in people. Certain things stick in your mind. Picking the stories was sort of easy—I remember them so well. Q: You begin with the story of a psychiatrist who tried to talk his patient into a murder scheme. Why did you start with this story, and what do you think it reveals? A: It reveals a number of things. The fact that a psychiatrist himself or herself can be sicker than the patient he’s treating—[it shows a] horrific sense of misuse of transference. It can be an elusive topic for laypeople to understand. By telling that story and commenting, [it helps explain] transference and countertransference. The patient wanted to please the psychiatrist, and felt honored that the psychiatrist wanted to go into business with him, and the psychiatrist was viewing the patient as his only friend. It’s all true. It’s part of the public record. Any trial is part of the public record—you don’t have to worry about changing names. But even then I changed names and locales—you have to be very careful with these things. As a leadoff story, it’s impactful. It shows how damaging a bad relationship between a therapist and a patient can be. Q: You also tell about a woman whom you met when she was 101. What impact did she have on you? A: She died only recently, within the last six to eight months. As I’m growing older—I’m nowhere near 101!—you do become more aware of your limitations, and the things you’d like to do: Life is short and I don’t have time for this. Here was a woman who was still vital, involved, participating in this assisted living facility. She had a tragic past but had gotten beyond it. She impressed me as a tremendous human being—she really demonstrates that unless you’re best by a terrible illness, you can still contribute…despite a very advanced age. She was also a lovely person. When I heard she was on the verge of death, it impacted me very deeply. I am much more aware now that getting older doesn’t mean you have to wither away. All the stories address elements of the human condition. Q: You mentioned your dog, Sidney—could you say more about the role dogs can play in treating patients? A: Sidney was my first dog. I wanted a dog all my life. People invest so much energy and love in their pets. They become part of the family. It’s like a child who will never grow up, and there isn’t the ambivalence there is with children. With dogs, in the last number of years, people recognize that in nursing home facilities, hospitals, especially VA hospitals, dogs can be wonderful therapeutic tools. There are programs in certain prisons—they have to train the dogs. It can be very important in rehabilitating certain kinds of prisoners. Q: Getting back to the legal system—what’s changed for you over the years when you’ve worked with the legal system? A: As a psychiatrist, any expert witness runs into direct examination and cross-examination. The role of the cross-examiner is to undermine the expert’s testimony or attack the expert. I learned the courtroom is very tricky terrain for an expert to navigate. We all have watched legal dramas on television or in the movies, but very often a trial is not necessarily the search for truth. It’s modern-day gladiatorial combat—winning is the goal. Despite each side tinting the facts, eventually most of the time the truth does come out. It seeps out despite each side’s efforts. Decent juries, most jurors, work very hard and take the job very seriously. Juries have a collective intelligence. When they deliberate, all sorts of things come out. A common sense emerges. Not all verdicts are just, they’re not always fair, but most of the time they are. The forensic area, the interface between psychiatry and law—there are forensic experts in virtually every field—became an important area of my practice. It led to my seeing patients most psychiatrists never see. It enabled me to gather up some unique stories. A: I’m finishing my next novel, the last in a trilogy, the Mad Dog trilogy. Mad Dog Vengeance is coming out October 15. We talked about how the older woman impacted me—I’ve retired from my general psychiatric practice but have a new career now, writing. She certainly impacted me—there’s life after retirement! --Interview with Deborah Kalb. For a previous Q&A with Mark Rubinstein, please click here.